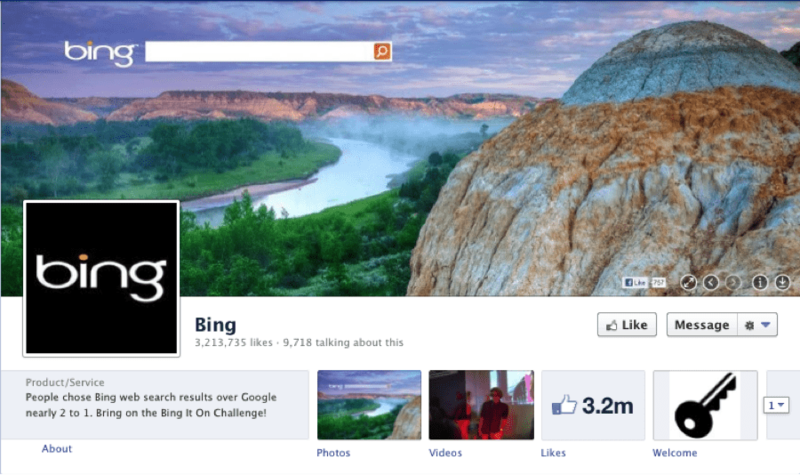 You’ve probably asked yourself this many times, but what is it that makes appealing graphics so sharable on Facebook? The answer isn’t a simple one but it does have to do with the mind’s ability to process the information faster than if it was plain text. Little things like pattern, color, detail, lighting and, of course, the overall message of an image draw us to them as if by hypnosis. 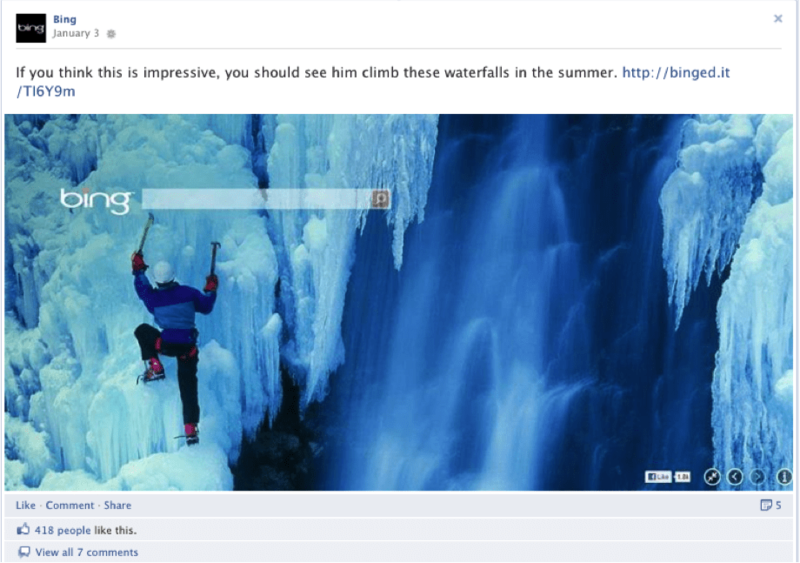 Knowing that, why wouldn’t your Facebook strategy focus on a more visual approach? If you’re still not convinced, let me present you with proof. You may ask yourself: What if my industry isn’t visually appealing or graphically inclined? News for you, almost everything can be turned into graphics. It’s just a matter of finding the right approach. In this case study, I will include three very different industries that found a way to make their business a visual haven. This website was first introduced to me by one of my co-workers, Sonja Stein. 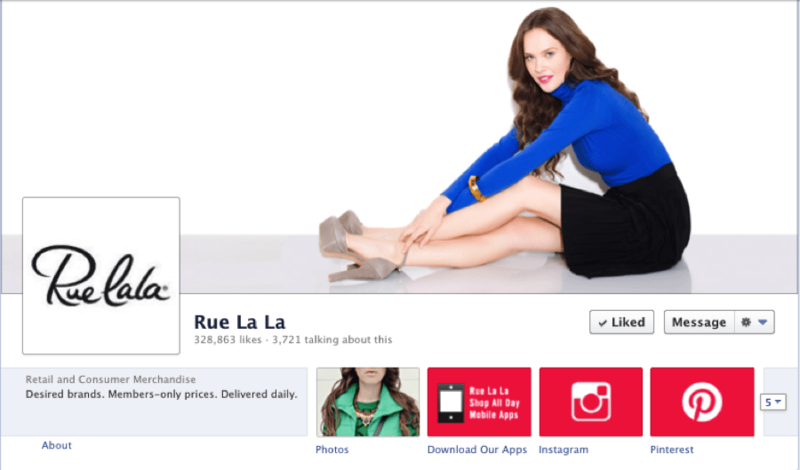 Rue La La’s Facebook strategy is impeccable – the level of engagement tells the story. 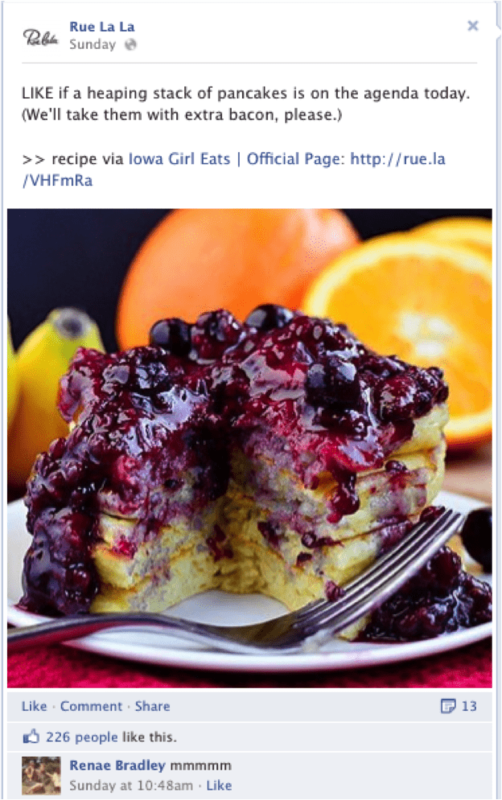 But what makes a successful Facebook page? How can you convert a good page into an amazing one? The answer is often in the type of content that is posted. Although Rue La La is a graphically inclined industry, their efforts go beyond posting photos of pretty garments. They’ve created a lifestyle portrayed by appealing photography that is hard to resist. Did I mention that graphic posts don’t have to be creative photography? They can be as simple as the graphic above. Black font on a white background. As you can see, this graphic is more than just a graphic. 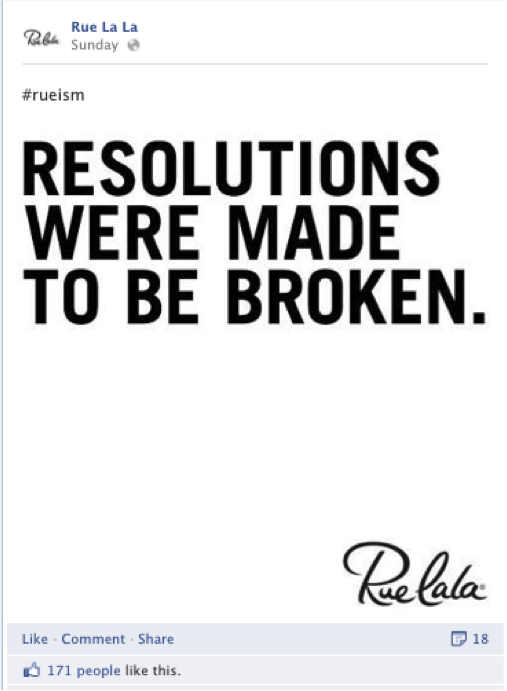 It is a message, a statement, that is both sharable and relevant to Rue La La’s community. The goal is to reach your audience with these images, but first you must learn one of basic principle of psychology in marketing: determining how your audience thinks. It’s all about creating a culture around your product that increases your audience’s desire to become a part of it. In this case, Rue La La targets women who might enjoy cooking new things or learning how to do so. Take the image above. If you notice, it starts with a capital “LIKE” which automatically sends a signal to the brain to perform that action which is in your favor. 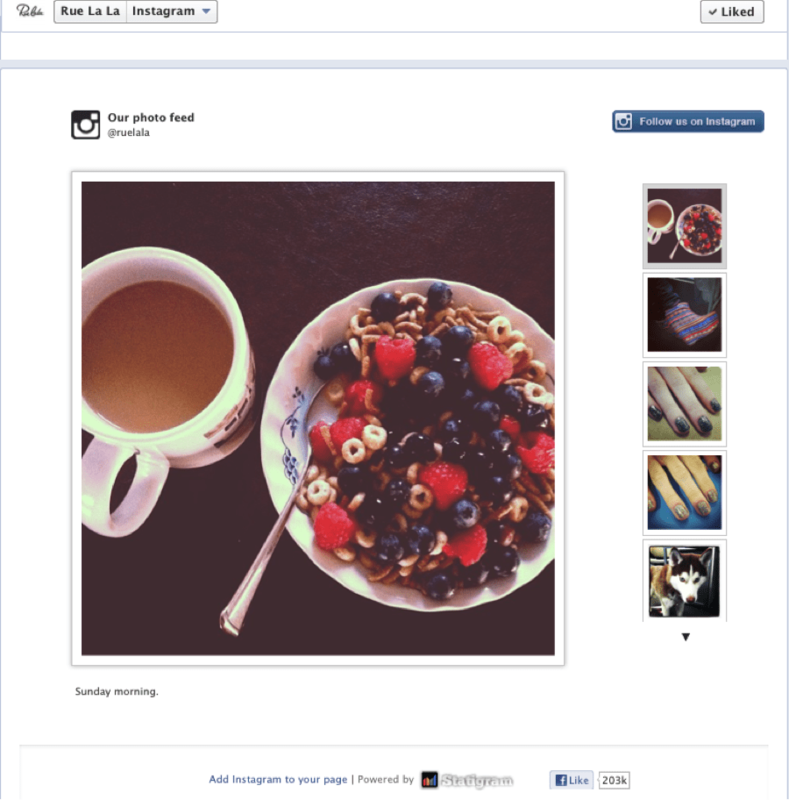 Integrating Instagram in your Facebook strategy is a great way to keep connected with your audience. If you’re having trouble determining a culture for your company, why not let your audience decide? The fact that Instagram’s interface is highly user friendly, allows your audience to tag photos as to what they think you’re all about. The benefit here is the audience actually plays a key role in shaping the company’s culture. See, you don’t have to do all the work. 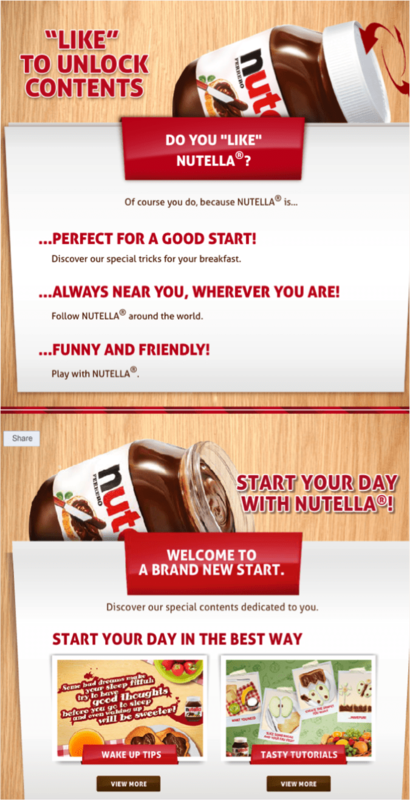 The first time I visited Nutella’s Facebook page, I was captivated by the strategic use of a “like gate” as well as their inventive homepage design. If you notice, their strategy encourages engagement by the surrounding the conversation /posts around a kitchen table when you can share almost anything that is relevant. Ok. I admit. I did share this photo. How could anyone resist? 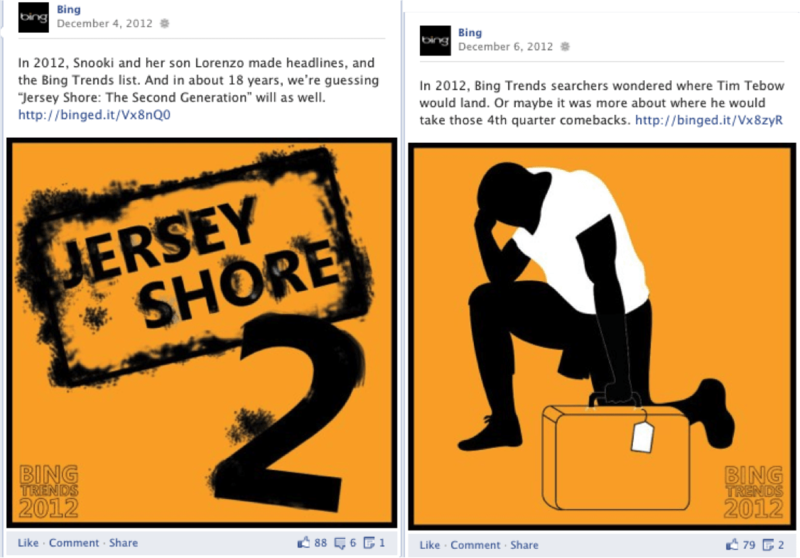 Often, the reason why graphics become sharable on Facebook is due to the message it sends. 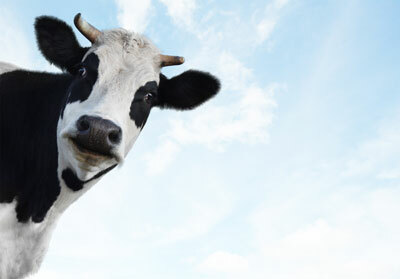 It recently became popular for companies to post “Memes” or simple graphics with a witty or humorous message. Those who can relate to them in turn share these “memes.” This unifies a community and builds a brand. Who doesn’t want to see a post like this after having a bad day? Once again, the message is what drives the success of the graphic. Apply this to your own business by creating a trend with graphics and messages you believe in. You will most likely see a definite change in engagement once you commit to starting it. Here’s something new. 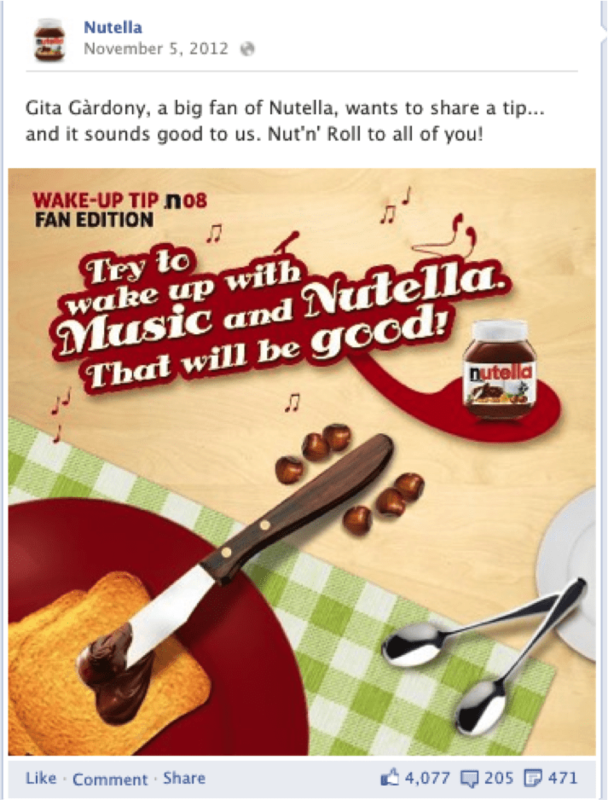 Nutella’s Facebook success does not only come because of the sharable graphics they create. It also has to do with the fact that they are able to identify different categories where those graphics belong. On the “Homepage” tab you will see that content is separated according to what you would like to see or read about. Whether it is “Wake Up Tips,” “Tasty Tutorials,” or “Holiday Memories” you get to choose which graphics to view. As a photographer, I personally love the fact that they feature moments in time around the world. 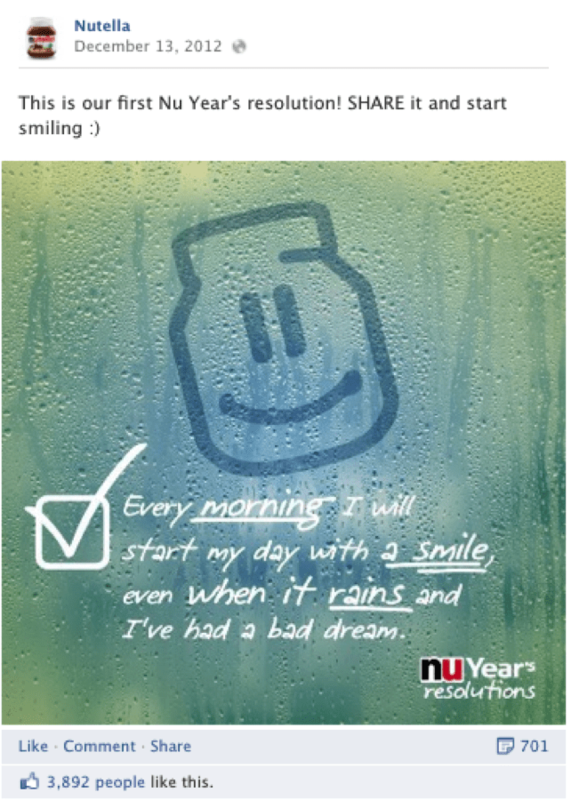 In addition, they always add an extra oomph to it by providing a catchy post message. What better way to start a trend than with the New Year? 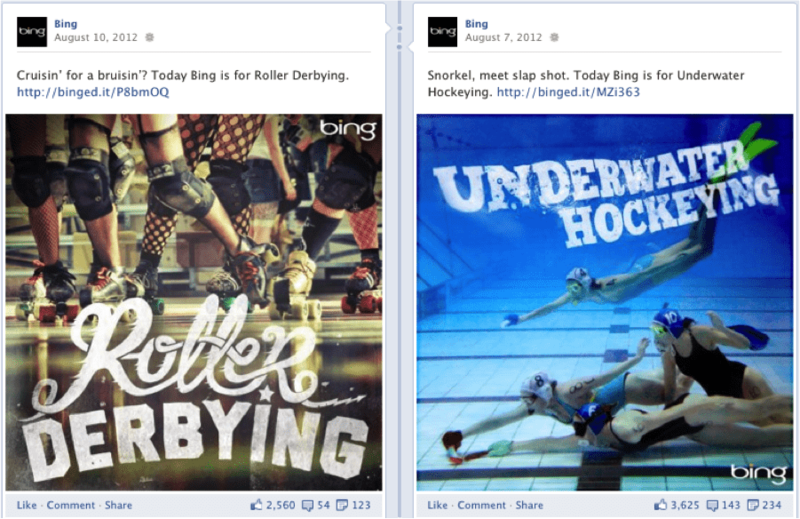 As you can see, Bing did just that in 2012. These graphics are simple in nature but we certainly can’t forget these two events. This is an example of how to use graphics to leverage off of popular events. The key here is to take an existing factor and tailor it to a genuine point of view. If your goal is to single out a specific audience, then your graphics should do the same. Take the example above. Bing is trying to connect with those who might love to try new things or who are good at something. 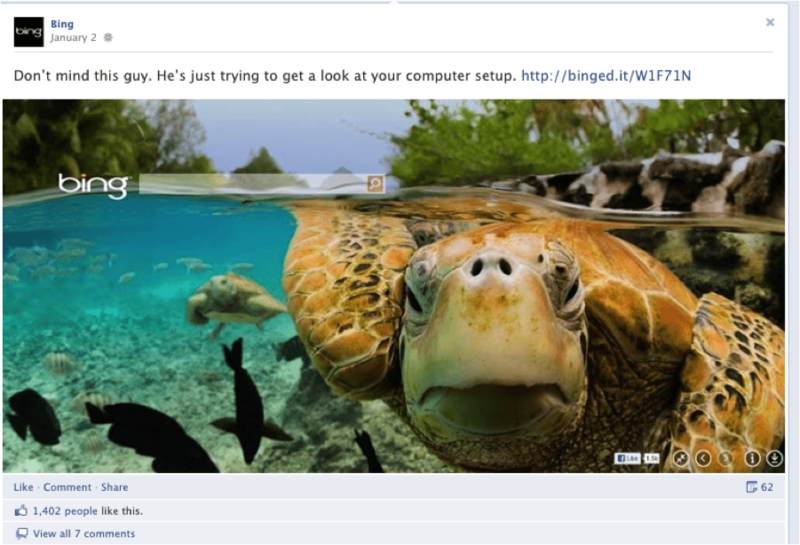 That is exactly the kind of audience that Bing may want to attract. Now that you’ve learned the basics on how to start a visual Facebook campaign, it’s time to put your thinking cap on and brainstorm with your team. Remember that creating sharable graphics doesn’t necessarily have to start from scratch. Try to do your research first and find topics your audience might want to hear about or topics they find amusing or interesting. If you are still drawing a blank, we are always here to help! Contact us to learn how we can help you with all of your online marketing strategies!